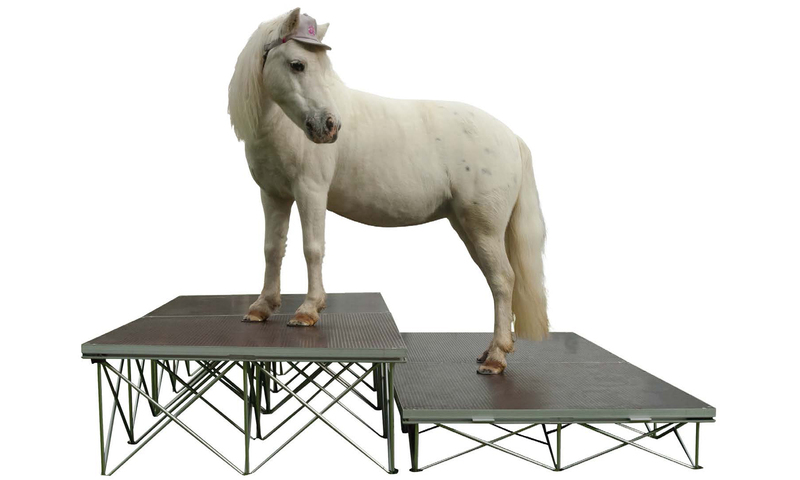 The Flexi Stage concept is designed for anyone who needs a fast and reliable stage rising system. 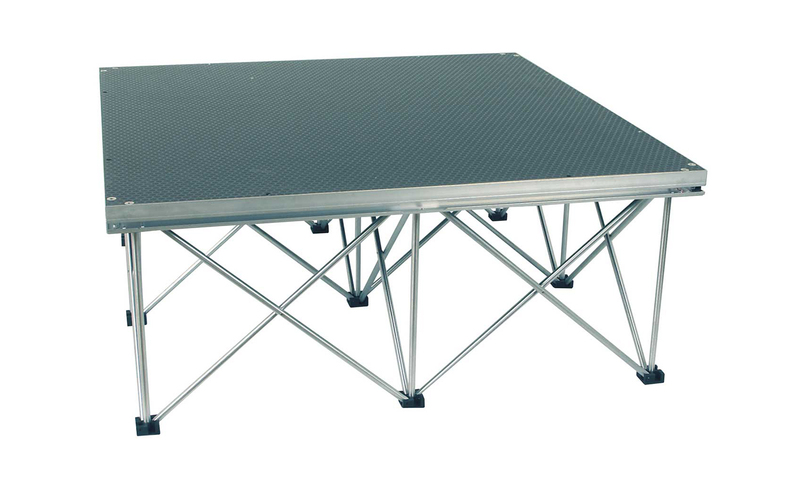 All components are extremely light weighted, but yet capable of supporting a staggering 700Kg per m2 (TUV approved). In just 15-30 minutes a single person is capable of creating a stage of 6-12M2 with just a few simple tools. 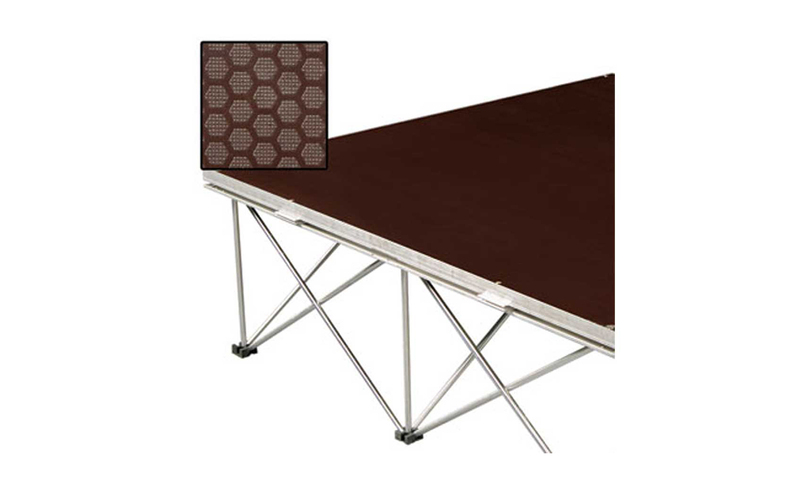 One important fact to remember: a flat surface (floor, and preferable properly leveled) is needed to provide the best and safe support. 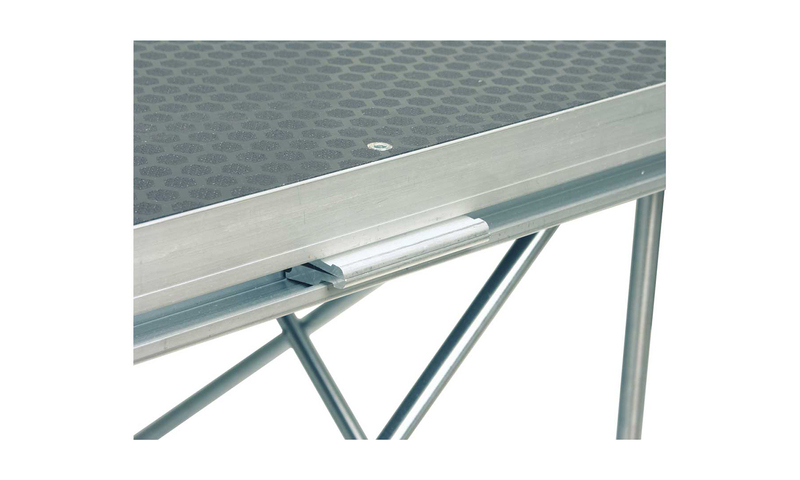 In order to create more stability the FX-1010 floor surfaces must be locked to one and another, the necessary connectors are build in the frame itself (edges). 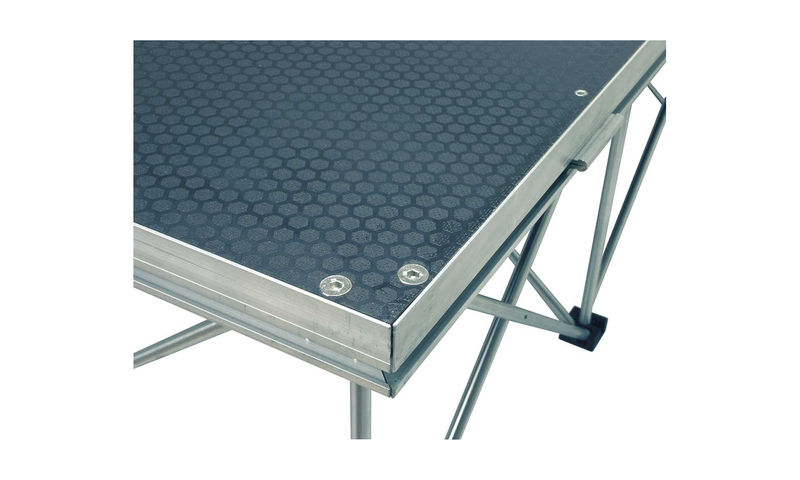 The surface of the TX-1010 is specially prepared in order to prevent slipping and sliding. But be careful with spilling fluid – better be safe then sorrow.